This July, Dark Horse Books will publish Brooklyn Blood by New York Times bestselling writer Paul Levitz and Eisner nominated artist Tim Hamilton collected in book form for the first time. Together Levitz, who was born and raised in Brooklyn, and Hamilton, whose art has appeared in the New Yorker and the New York Times, deliver a uniquely urban police procedural with supernatural overtones that is grounded in the city’s dark history, including the Malbone Street subway disaster, the Park Slope plane crash, and the burning of General Slocum. In Brooklyn Blood, a serial killer is on the loose—and when strange clues lead down a paranormal path, a detective confronts his inner demons to solve the case. After returning from a tour in Afghanistan, detective Billy O’Connor returns home to a Brooklyn he doesn’t recognize. As he tries to resume his normal routines, his PTSD is easily triggered and he suffers severe hallucinations. Once he begins to work a gruesome homicide case, however, O’Connor has difficulty sorting out what’s real—and after he uncovers some strange clues, he’ll have to face the unthinkable to bring the killer to justice. 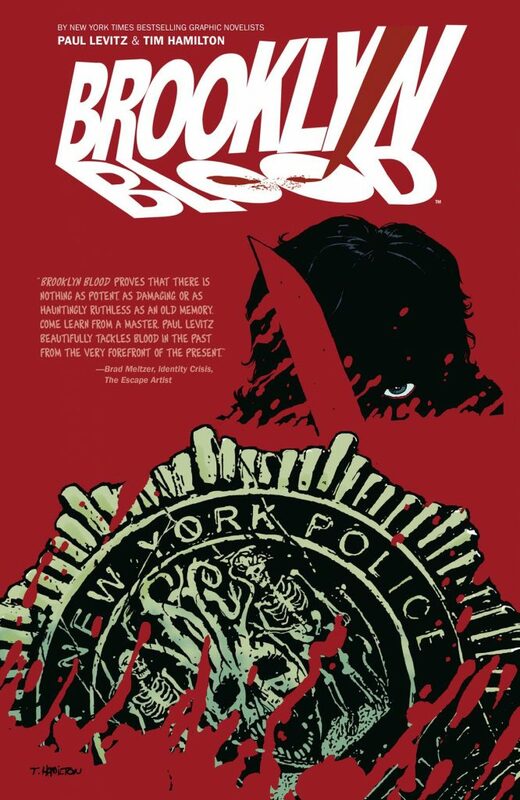 Originally published and serialized in sixteen chapters in Dark Horse Presents, Brooklyn Blood marks the first collaboration for Levitz and Hamilton. It is also Levitz’s first story in four decades to be published by a company other than DC Comics; it was 40 years ago when he collaborated with Spider-man co-creator Steve Ditko for a short story published in independent comic book publisher Mike Friedrich’s series Imagine. Levitz, who is among the 16 names on the shortlist for the Eisner Award Hall Of Fame, is primarily known for his work for DC Comics: as the author of more than 400 stories; as the company’s youngest editor ever, and as its former President & Publisher. The trade paperback of Brooklyn Blood, featuring the complete story, as well historical notes by Levitz and never before seen sketches and layouts by Hamilton, will be published by Dark Horse Books in comic stores on July 18th and in bookstores on July 31, 2018.